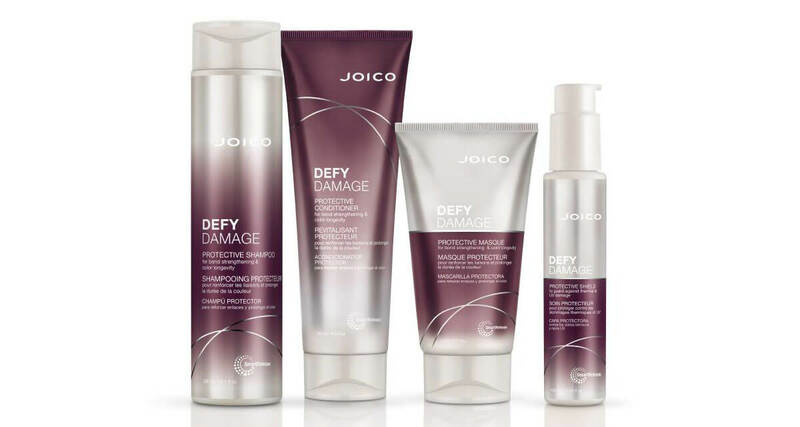 Replenish moisture and build resilience every day without weighing hair down. I love this. I have thin dry hair and it gets tangled every day, this has helped my hair health dramatically. Directions: Apply to clean, damp hair. Leave on for 1-2 minutes, then rinse thoroughly. Cutting-edge technology, merged with powerful protectants, join forces to create hair that’s brilliantly resilient and healthy-looking. Our one-of-a-kind liposome delivery system packs a punch by continuously releasing a trifecta of healthy-hair ingredients—Rosehip Oil, Arginine, and Keratin—to help repair, strengthen, and protect hair from the cumulative effects of daily styling. 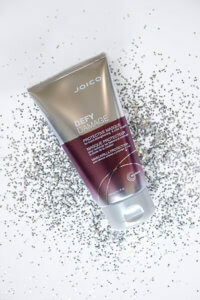 A rich source of antioxidants, Vitamins A and E, Zinc, and Silica—all fundamental to creating healthy, strong, damage-resistant hair—helps to boost shine and softness. A smart-bonding molecule with both positive and negative sites, helps to strengthen hair bonds and encourage bond renewal. It makes my hair shine like Glass, without the heavy weighed down feeling. A must have product. 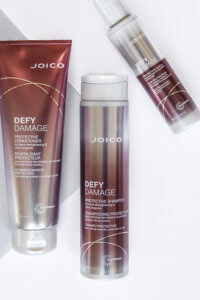 I use the entire Defy Damage line and my 3N Joico LumiShine color Lasts 1 month longer. 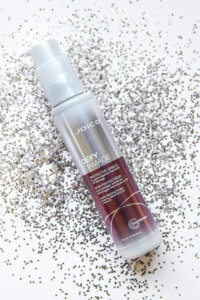 I will always use Defy Damage, it smells like Sharp Roses.